Corrosion is the process of the deterioration of a material due to chemical reaction, with its surrounding environment. Corrosion testing is performed to assess the susceptibility of a material to environmental attack and quantify a material’s resistance to a corrosive environment. A corrosion test subjects a sample of material to a severe test environment (a combination of temperature and solution) for a specified time. Following exposure to a severe test environment, a test sample is evaluated for signs of corrosive attack. 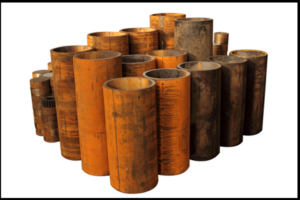 Typically, visual inspection for pitting, loss of mass, and bend resistance are assessed to evaluate if a sample has resisted corrosive attack.